Funky Monkey Lodge Myoko offers simple Japanese and Western rooms. Funky Monkey Lodge Myoko is a friendly six room guesthouse in Akakura, Myoko. The area has over 14 metres of snow every year which attracts snow and outdoor activity loving people from all over the world. This is a Japanese style of guest house where you can mingle with other travelers in the lounge area. Book Funky Monkey Lodge in Akakura Myoko now! 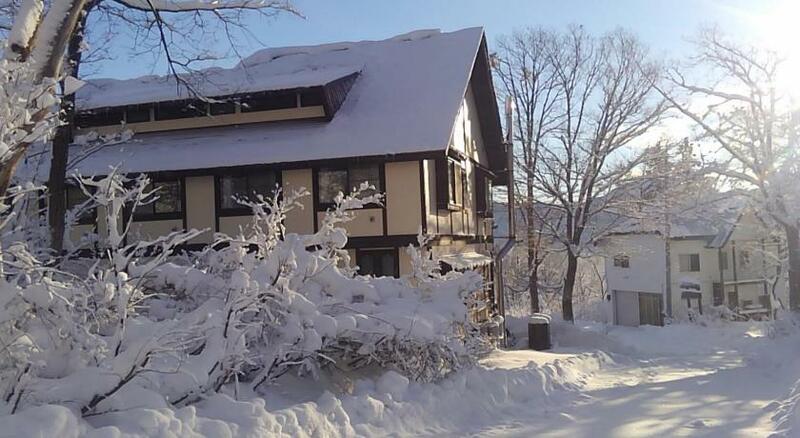 Check out more Myoko Hostel accommodation at the Myoko Backpackers website! The lodge is hosted by a couple who are into mountaineering, kayaking, rafting, diving, traveling around the world and of course, snowboarding! Having certified with National Guide Interpreter (Japanese government-certified tour guide for English speaking tourists), we are also willing to help with your travel planning and arrangements in Japan. Thank you for viewing the Funky Monkey Lodge Hotel in Akakura Onsen!